The only thing more American than a beer literally called "America": A fundraiser that involves beer and supporting American troops. But seriously, Yuengling just came up with a cool way to raise money for veterans, and the northeast brewers just need a little help from you. D.G. 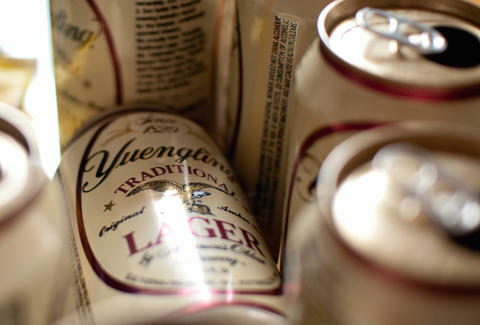 Yuengling & Son, Inc. is running a campaign to support the VFW between Memorial Day and the 4th of July, and all you have to do to participate is give up a few dollars, and get on social media. The #LagersForHeroes program allows fans of Yuengling, and fans of any beer really, to donate by texting, tweeting, or commenting on specific Yuengling Facebook posts. It's super easy. To donate on Facebook, you'll comment on certain Yuengling Facebook posts with #donate followed by the dollar amount, and for Twitter you'll tweet @VFWHQ with #donate and that dollar amount. However, as with most things money related, there's one catch. You'll have to sign up with GoodWorld first to make any of this work. GoodWorld will require your credit card info, which ensures that you're actually making this donation using your own hard earned cash and not just posting #donate all over the place with no consequences. Sorry. You'll also be able to make a $10 donation by texting "Hero" to 90999 or just donate online But keep in mind that if you take advantage of these two options, no one will be able to see what a wonderful and generous person you are via social media. Unless, you screenshot the text and post it to social, but come on. All the details can be found here. And sorry, just drinking Yuengling won't give any money to veterans. But certainly you should have a cold one while typing out #donate. Kara King is a News Writer at Thrillist and thinks all of this is great. Send news tips to news@thrillist.com and follow her at @karatillie.